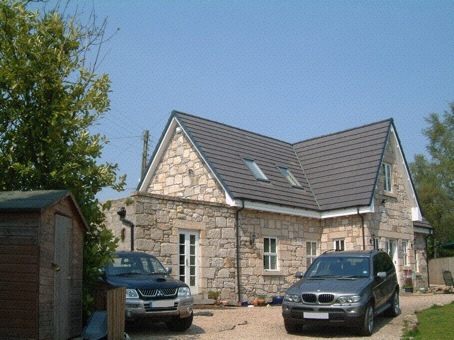 The substantial remodeling of this house saw the footprint of the property increase 100% with a double gabled front extension and the extending of the roof over a previously flat roofed side annex. 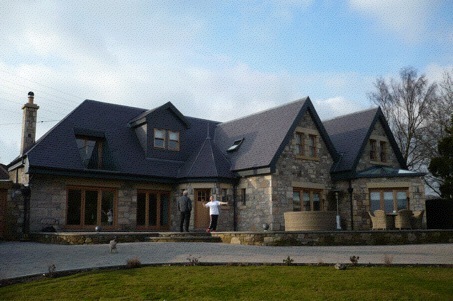 Large openings were introduced to maximise the light from the south facing elevation as the house is largely single aspect due to the back wall of the property being right on the road. Externally the landscaping was also refreshed with a new decking area creating a smooth transition from inside to outside space and a new driveway improved circulation and accessibility to the house.